The All-Seeing Eye knows if you haven't made a voluntary donation to to view this online book. The suggested contribution is $12, but you may offer as little as $3 or as much as $50. The Amazon.com Honor System make's it safe and easy. The words person and personality are confusing because they have acquired several meanings. Another term, personhood, recently has been brought forward to describe the state of being a person � a state to which a highly positive value is attributed. The word person derives from the Latin persona, which refers to the mask worn by Greek actors performing in large, open-air amphitheaters. The features of these masks indicated the basic emotional character of a role, and they hid a small device that amplified and projected the voice. Masks are used in many tribal rituals, often to represent the countenance of a god. 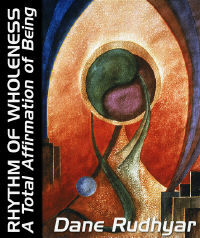 The essence and value of many of these sacred rituals is that they allow a human being who is only one member of the tribal whole to act symbolically and temporarily as the mouthpiece of the god who represents the wholeness (the soul) of the tribe. A part of the whole for a moment is made to experience the wholeness of the whole by ritualistically identifying with its archetypal form. In the Catholic ritual of the Mass, the priest does not wear a mask, but he acts ritualistically as Christ; and when the Pope performs the rite he more specifically identifies himself with the God-man. The experience of such a sacred and symbolic identification in acts and words, even if brief, can be far more important for the celebrant than what he or she does and says as a merely human being performing everyday work or even banal acts of love. When I use the word person here (and in other recent books), I mean the state of existence of a human being within a culture-whole. A person performs many actions and thinks or voices many thoughts that are more or less prescribed, or at least inspired, by the culture and its traditions. He or she may instill these acts, thoughts, and words with feelings having a particular, relatively unique character. To the extent they have such a character, the "person" acts or thinks as an "individual." He or she has become, to some degree and in specific circumstances, an "individualized" person. An ordinary person usually merely mirrors and projects the collective images, meanings, and values the culture and its language have impressed upon his or her developing mind since birth. In rare and specific situations, such a collectively determined person may become for a time a particular embodiment of the essential character of his or her society and culture � a "representative" man or woman. This occurs in varying degrees when the person is selected to perform a sociopolitical office in which the power of the whole community is focused upon and released through him or her while performing the duties of the office. It occurs in a limited sense when a police officer or a judge acts "in the name of" the law; much more so if the person happens to be the president of the country and makes crucial decisions affecting all the people. When a person consistently acts as a representative and mouthpiece of a culture-whole or nation � or of a particular religious community or institution � he or she can be called a "personage." This person then embodies a definite role in the culture's development and, still more generally, in human evolution. These definitions of terms � person, individual, personage � are most important if one is to understand clearly what is generally called a human being's personality, in contrast to his or her spiritual aspect or soul. The personality is a composite entity and not (as the materialist believes) simply the development of a physical body into a feeling and thinking person able to use energy and will to carry out self-chosen decisions. A person must be a physical body, but while the psychic and emotional parts of the personality interact and are intimately associated with the physical body, their origin is basically independent of it. They are rooted, not only in the collective culture in which the person operates, but also in an individual past.